With great excitement I received my new Tabor Pipe last week. I immediately unpacked it and gave one of the three pipes a quick blow. So wonderful to have it in my possession. I ordered three, because my friend Henrik (who is already a whistle blower) will be helping me learn the pipe and I figured I'd give him one in thanks. 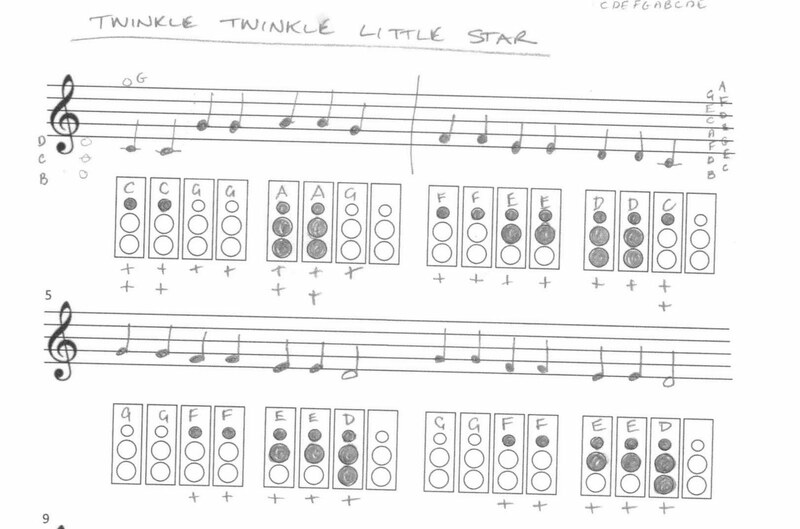 I also transposed "twinkle twinkle little star" to the music sheets I created for my learning, this was a great help to get used to the holing as I learn to read music. I hope soon I will no longer need the sheet with the holing indicated and I can just read the music. I spent a fair bit of time learning the piece and I can now play it from memory. I really enjoyed sitting on the beach a few days back and spend a good hour playing the tune. 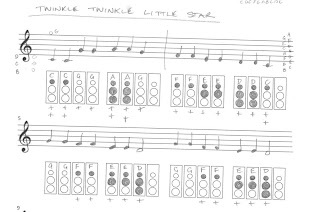 At the end of the week I recorded "twinkle twinkle little star"; yes, I've got a long way to go to be considered a master of the instrument. Consider this the base line to my ability to play the whistle... a recording of where I started. No matter how hard you try, your instrument has to be in the correct key for the song to sound right. Overblowing as a way to have all the notes from a three hole pipe is going to be part of the challenge. Need to remember / study music notation sooner than later. Writing out the sheet music is also a good learning activity. Spending time working with the music studio will pay huge dividends, and I'm best to start with audacity as my recording software and move to ableton when I I want more full music studio features. This is mostly due to the learning curve of ableton. If your an adult learner who has ever aspired to learn a musical instrument; be bold, begin it now. If you don't believe you have the talent I suggest you read; Talent is Overrated by Geoff Colvin.